Benjamin Hodson Fitness » Run smart! Running is the original primal movement. Contrary to many viewpoints, we, as human beings, are designed to run and if trained in a progressive manner, is the best way of burning calories and keeping lean. Considering the multi-directional movements involved in locomotion together with almost three times your body weight crashing through your body on each stride, it’s essential that your body is conditioned to cope with the demands. The muscles around the foot, ankle and lower leg are the epicentre of this activity so it’s important to strengthen these in conjunction with any running program. 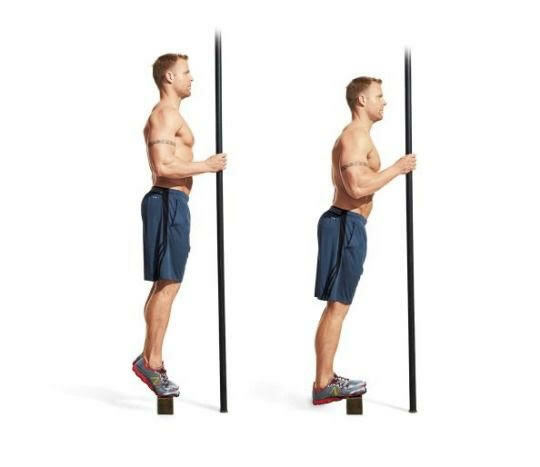 Try these foot and calf raises (3 x 12 on each) after a warm-up and before your run to strengthen your body’s natural shock absorbers; the plantarfascia, achilles tendon, calf muscles and tibialis anterior or shin muscle.